A study conducted by AARP found that 65 million Americans act as caregivers for their family members, Crawford said, with 10 percent leaving employment to do so. “While only a few caregivers will qualify for benefits each year, access to these benefits will make a big difference to their families,” she said. 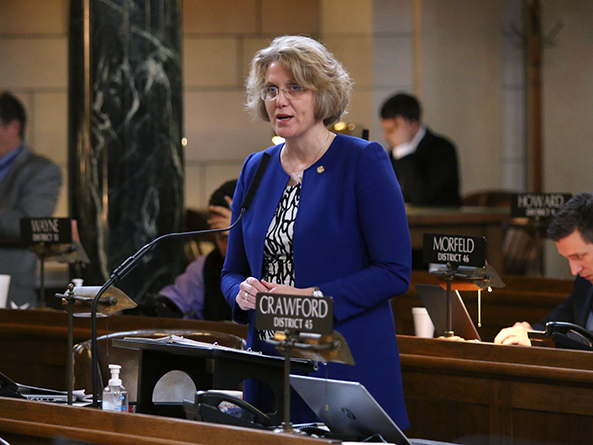 A Business and Labor Committee amendment, adopted 33-2, would require that an employee has made all reasonable efforts to preserve his or her employment before voluntarily leaving. 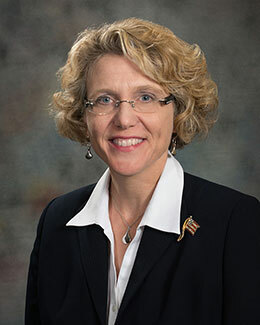 Bellevue Sen. Carol Blood supported the bill, saying that many people who act as a family caregiver must do so with little to no advance notice. Sen. Mark Kolterman of Seward also spoke in support of LB306. He could afford to take time off to care of his ailing wife, he said, but many people do not have that luxury. Opposing the measure was Columbus Sen. Mike Moser, who said expanding eligibility for unemployment benefits would hurt small businesses. North Platte Sen. Mike Groene also opposed the bill. Many people have ill family members, he said, and have been able to provide care while relying on family and charitable organizations, rather than government assistance. “All these incidents of compassion … there are so many avenues to go through when you come up to this situation,” he said. Senators advanced LB306 to select file on a 29-11 vote.